20 Buck Spin proudly announces the label’s impending release of The Incubus Of Karma, the massive fifth album by Australia’s stone pillar of funereal dirge, MOURNFUL CONGREGATION. The label will unveil the double-LP in North America on March 23rd, and advancing its release, the massive “Scripture Of Exaltation And Punishment” has been made available for streaming. 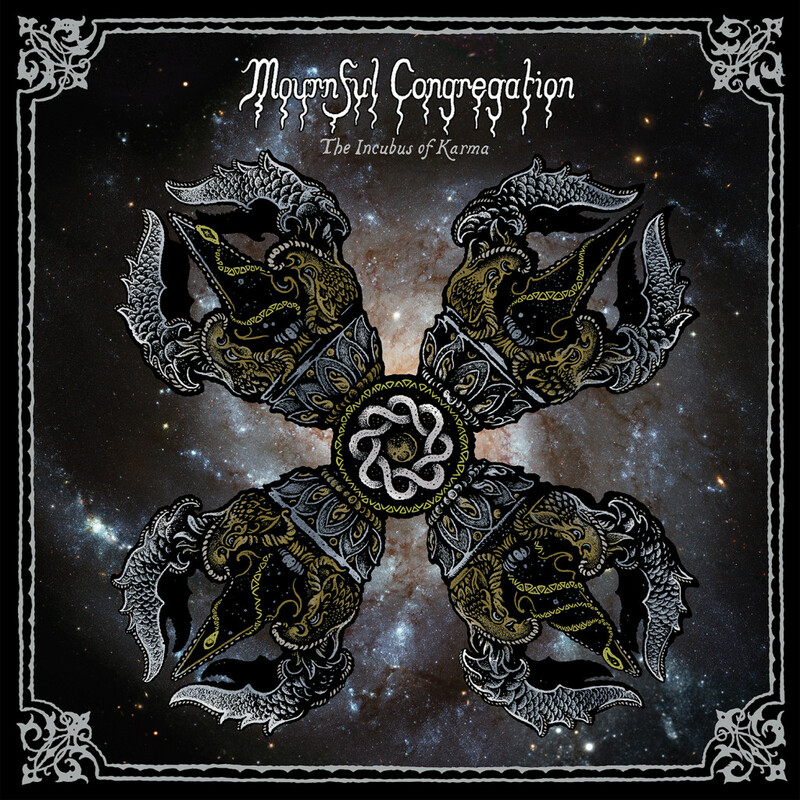 More than six years have passed since the release of MOURNFUL CONGREGATION’s regal fourth full-length, The Book Of Kings. 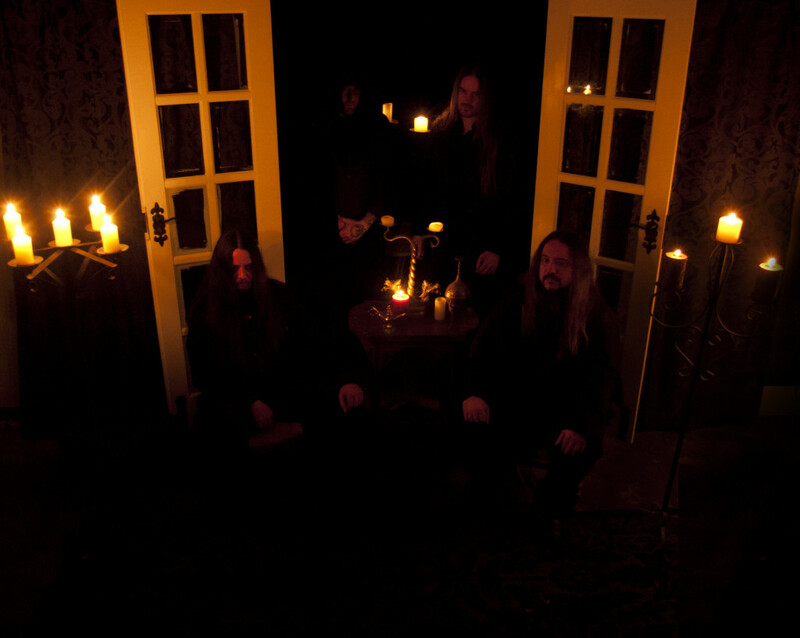 Since that time the band made several trips to the US and Europe, and released a mini-album Conrcrescence Of The Sophia, increasing their reputation as the pinnacle of extreme/funeral doom and one of the most influential bands in the entire genre. Throughout these intervening years, MOURNFUL CONGREGATION set to the task of meticulously crafting a new masterpiece, now presented in the form of the crown jewel titled The Incubus Of Karma. Everything that has made this band the unchallenged masters of this style since The Monad Of Creation, is here. The agonizing weight of extreme doom riffs, bitterly somber dissonance, a painterly attention to detail and arrangement, and the vocals summoned from the deepest hole. And as with each album before, the band expands upon their unique progressive tendencies, weaving beautifully constructed solos and lengthy virtuoso interludes into a bleak yet intricate tapestry of stately grandeur. The Incubus Of Karma also marks the band’s first album with drummer Tim Call (Nightfell, Weregoat, Sempiternal Dusk, Aldebaran). The album’s nearly fifteen-minute “Scripture Of Exaltation And Punishment” has been made available for streaming at Youtube HERE and Bandcamp HERE. The Incubus Of Karma will see release on March 23rd, on 2xLP, CD, cassette, and digital formats, with 20 Buck Spin handling the record in North America, with Osmose Productions releasing it in Europe, and Weird Truth Productions handling the release for Asia. Find North American preorders at Bandcamp HERE and the 20 Buck Spin webstore HERE. See the track listing and cover artwork below, and stand by for additional audio samples and more to be issued in the forthcoming weeks.